The story of how a group of Cantonese aunties in Guatemala City took me under their wing. They hovered around me, spinning out a succession of homemade dishes onto a round table: won ton soup, cabbage fried with oyster sauce, braised pork cuts sandwiched in steaming white buns. The smell of garlic and onions clung to my clothes, and for a moment I imagined I was home in Malaysia, and that my mother, my grandmother, and my aunts were telling me to eat, Eat, girl, pausing only to puff with feigned modesty when I said, with my mouth full, “This is good.” It’s the way the Chinese show their hospitality. It’s the way they show love. Then, amid the women’s Cantonese chatter, I heard the sound of Spanish rolling off practiced tongues. It was the middle of the afternoon, and I was in a dining room on the second storey of a nondescript block of shoplots in Chinatown, Guatemala City. At least, I think it was Chinatown. In my memory, the street was strangely, refreshingly, free of the forced authenticity of red lanterns and curled pagoda roofs. There were four women, whom I have taken to calling the “Cantonese Aunties” whenever I tell this story. I will remember them forever for initiating me, however reluctantly, into my Central American gap year, more than seven years ago now. There was Mrs. Chang and her younger companion, Mrs. Liang, and Mrs. Fung and her mother, whom I just called “Po Po,” for “Grandmother”. They spoke to each other in their native Cantonese and used Spanish only with outsiders — the help, restaurant customers — or grandchildren more Latino than Chinese. On this occasion, it was Mrs. Fung’s daughter, Monica, and her fiancé, Alejandro — both born and bred in Guatemala City — who were speaking that rapid-fire Spanish, though they would revert to Cantonese with their elders. 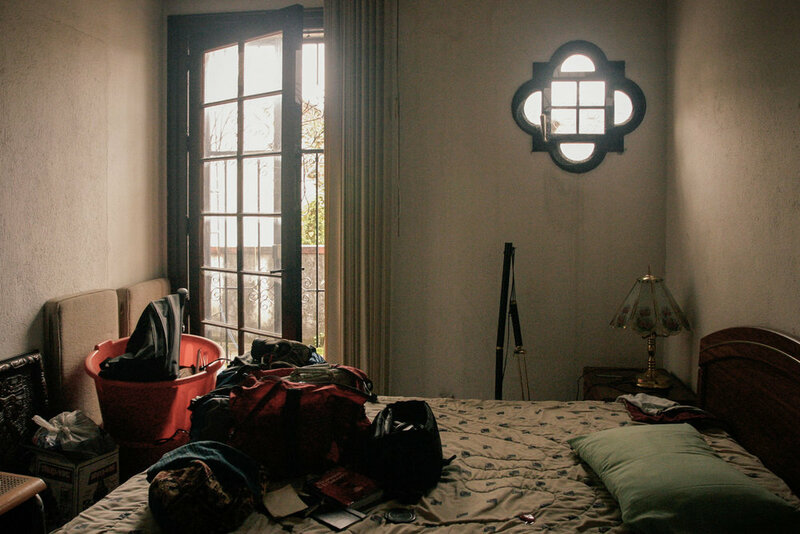 At some point, the conversation turned to the perils of traveling in Guatemala. And in this, too, they reminded me of home. “You know, it’s very dangerous here,” Mrs. Fung said. “People get mugged, killed. You can’t just walk around the streets, and public transport isn’t always safe. We use a driver to get around.” Her brusque manner intimidated me, though I would quickly learn that it disguised a ready kindness. In fact, I had approached Mrs. Chang and Mrs. Liang on the flight from San Francisco. Their mere presence was, because of our shared culture, reassuring to me. Despite many months of anticipation, I was suddenly taken over by uncertainty. Faced with so many inscrutable strangers on the plane, the making of friendly connections had seemed like a distant possibility, and I wondered how long I was going to last out there. I knew nothing about Latin America. I’d never joined the Latin American Society at university. I’d never had any Latin American friends or boyfriends. All I had wanted was to go someplace completely unknown to me, that was relatively cheap, and where I could learn Spanish — and Central America fitted the bill. It turned out that Mrs. Chang had lived in Guatemala City for about forty years before her husband died. Then she moved to San Francisco to live with her daughter, and now she was back to see her grandchildren and some old friends. She had an air of composure that I admired. I guessed that she was in her seventies, and though I could see that Mrs. Liang was caring for her, she seemed to know her way around and seemed always in control — a gentle matriarch. As for Mrs. Liang, she still lived in Guatemala, and had just been to San Francisco for a short visit. My mother had fretted about my coming out here alone to a country with a name she couldn’t even pronounce properly, and I couldn’t wait to tell her about these women. Later, when the plane landed at La Aurora airport, I said goodbye to Mrs. Chang and Mrs. Liang. But they exchanged concerned looks, and asked if I had a ride waiting for me and a place to stay for the night. Sheepishly, I said I didn’t. I had looked up my options in a guidebook, but had made no reservations. I was young and full of bravado that year, and winging it had seemed like one way to make it all a big adventure. “Yes, we’ll be staying across the street at a friend’s place, so we’ll be right there if you need us,” Mrs. Liang said. And that was how I found myself in the somewhat awkward situation of having gatecrashed a family reunion halfway around the world. Judging by the veritable stockpile of Chinese foodstuffs I had glimpsed earlier at customs inspection, crammed into their burgeoning suitcases, it was to be a momentous one. Later that evening, I joined the Aunties and their extended group of family and friends for dinner at Alejandro’s steakhouse. Again, I was reminded of home, of what it’s like when my own extended family comes together. It’s that sense of something both familiar and unfamiliar, of both belonging and not belonging, of feeling cocooned and also, just slightly, suffocated. I felt incredibly privileged for having been invited into their private lives, and I think my year would have turned out differently if it hadn’t been for them, but at the same time, it all felt a little too much like home. I worried that I would fail to start my gap year before it had even begun. I told them that I had decided to leave for Antigua the next day. I had heard it was safer than Guatemala City and popular with travelers, I said, and I planned to start Spanish lessons there before continuing my travels. They were worried, but wished me all the best. Mrs. Fung insisted that I should let her driver take me instead of riding the public bus, and that she would send her son Fernando along to accompany me for the journey. I’d ceased to be surprised by how far they would go with their generosity, even for a mere stranger. Before we left the steakhouse, Ana’s mother took me aside and said, “I think of Ana going away on her own, doing what you’re doing, and I am so afraid for you. Please take care of yourself.” She handed me a piece of paper, scrawled with her contact number and Ana’s. “Don’t hesitate to call us if you need anything. Buen viaje.” It was the first time I had heard those words, and I found the mere sound of them strangely soothing, like a kind of christening. Ever since, I’ve taken it as a sign of good luck whenever someone wished it on me, and I’ve taken to sending off other travelers I meet the same way. That night, when we returned to Mrs. Chang’s old room in Chinatown, we realized the taps weren’t running water. Mrs. Chang and Mrs. Liang smuggled me across the street to where they were staying so I could use the shower. I say “smuggled” because I was tightly sandwiched between them, our arms linked. They had made it seem like a mission of the highest, most dangerous order: scurrying across the street, making sure we were outside closed doors for the shortest possible time, turning the locks immediately behind them once they were safely inside. At some point, in the middle of all of it, we started giggling. Later, back alone in Mrs. Chang’s old room, I started packing my bags in anticipation for the morning. Whatever uncertainties I had felt on the plane over from San Francisco had dissipated. Despite the Aunties’ well-intentioned warnings on the dangers of traveling alone, they had, in fact, helped me feel more at ease with the idea of spending a year in Central America — what the poet Pablo Neruda had called “the slender waist” of America, and a region which had, up until then, never figured in my everyday consciousness. In retrospect, I think it had to do with the fact that they had showed me just how normal life could be in a place as foreign and as reportedly dangerous as Guatemala City, and how, in certain respects, it wasn’t so very different from life back home. There was a framed painting hanging on a wall in Mrs. Chang’s old room: a portrait of her younger self, when she was not yet Mrs. Chang but just Jenny. And there was a demure red dress, sticking out of a storage box in a corner, that must have been hers. I tried to imagine her as she looked in the painting — the silky-straight, shoulder-length hair, her lips pursed slightly in a pensive expression — and wondered how she had come to be in Guatemala. Had her family moved here? Had she followed her husband here? Had she come, perhaps with a female companion like Mrs. Liang, seeking a different kind of adventure? What kind of life had she lived here? I never got a chance to ask. That year, I ended up traveling across Guatemala, as well as other countries like Nicaragua, Mexico, El Salvador and Cuba, where I made new friends, including many Latinos who took me under their wing as the Aunties had done. I also returned to Guatemala City a couple of times to visit the Aunties. Once, I ran into Mrs. Fung’s chef, who, upon seeing me in the company of a Latino boy and his Dutch girlfriend, said to me, his lip curling with suspicion, “What are you doing with these people, girl? Stay with the Chinese. The Chinese, you can trust.” But by then, I had travelled and seen Latin America for myself, and the forbidding metropolis of my first impressions had fallen away. By then, Mrs. Chang had returned to San Francisco, and I never saw her again. I like to think, though, that despite her best, protective instincts as a mother and a grandmother, maybe, just maybe, she knew a little of what had drawn me here, to this place not just physical but metaphorical, so far away from home.